Through Scalar Erasure Coding, vSTAC OS forms a virtual HyperSAN to seamlessly unite and share storage and compute resources across all nodes and virtual machines to enable true Dynamic Hyperconvergence. By pooling all resources into one shared infrastructure, Pivot3 delivers higher availability and performance, and greater fault tolerance levels than replication-based HCI vendors. Pivot3 offers a range of Dynamic Hyperconverged Infrastructure platforms that are fundamentally different than other HCI providers. In addition to lowering both cost and complexities in the data center, our patented technology delivers better capacity utilization, higher compute efficiency and greater fault tolerance for running enterprise IT workloads. From Hybrid to All-Flash, Blades and more, our unique architecture allows us to pool all resources for compute, memory, and storage at scale to deliver the highest performing HCI system in the market. Pivot3’s PCIe Flash Arrays offer both productivity-boosting performance and real-world value. Unlike other arrays that treat all data the same, Pivot3’s dynamic Storage Quality of Service (QoS) governs performance targets, I/O prioritization and data placement, allowing you to meet business SLAs. 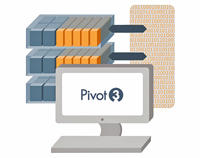 Pivot3 arrays deliver the predictable application performance your end-users require, along with industry-leading flash utilization. 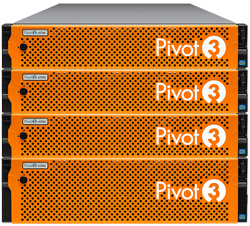 Pivot3’s purpose-built hyperconverged solutions are designed to ensure that critical video surveillance data are both stored and protected. With over 2,000 customers and over 1 million cameras in operation, Pivot3 delivers enterprise-class video surveillance IT infrastructure in a simple to deploy and scale-out appliance model. 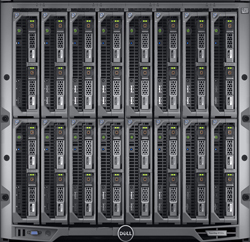 We deliver the simplicity of DAS – while eliminating the performance and data loss risks and manageability issues – and offer better performance and higher availability than enterprise class storage yet without the enterprise cost, complexity and skills imposed by legacy SAN/NAS with separate servers. vSTAC OS turns standard servers into powerful purpose-built, fault-tolerant virtual shared storage and compute appliances that can be stitched together into different configurations to support the most demanding video surveillance applications.